– Kaytee powder or NutriBird A19 diluted with warm water. Feeding tools (cylinders, spoons, cups, etc.) are coated with boiling water to sterilize before feeding. – Add sunflower seeds, fresh fruits such as banana, mango, papaya. 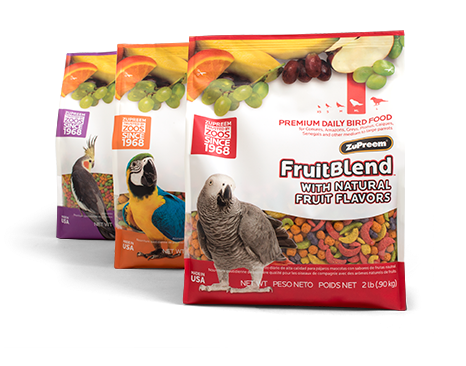 When birds are 5 months old, they can eat more hard fruits like apples, guavas, pears, vegetables. Offer nutritional supplements such as Zupreem. Food of all kinds (fresh fruit, dry food …) just enough to not miss, one day at noon and two or three more even in the day if the birds have finished powder. Bath 1-2 times a week at 10 or 12 AM just on sunny day, if the weather is cold, parrot shouldn’t bath or carefully drying after bath. In cold day, using heating lamp. 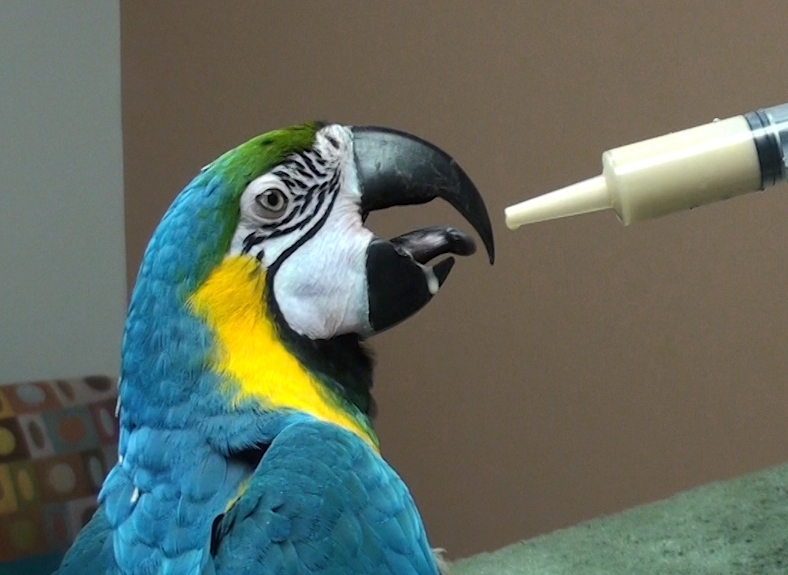 Nail files for parrot twice a month, ( if their nails make you feel hurt when they land on your hand, you can files immediately). When we cut nail for bird, do not cut > 1mm from head of nails. Trimming wings twice a year ( base on shedding season for birds) or they regrow enough wings to fly higher. – Flu, Diarrhea – monthly (200.000đ/time). – Deworm – every 3 months (200.000đ/time). – Coccidiosis – every 3 months (300.000đ/time). – NewCastle – every 4 months (500.000đ/time).